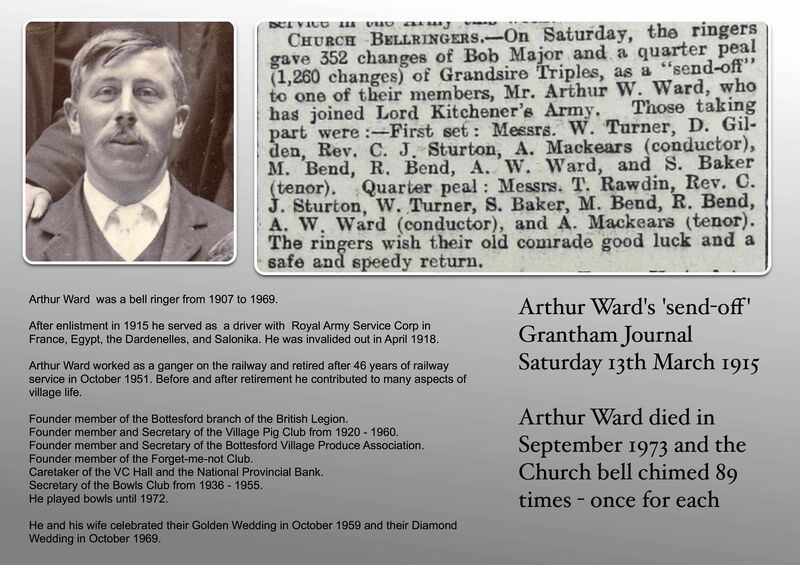 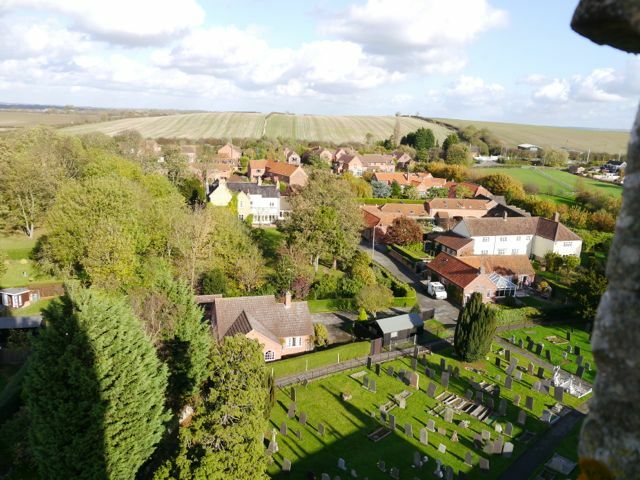 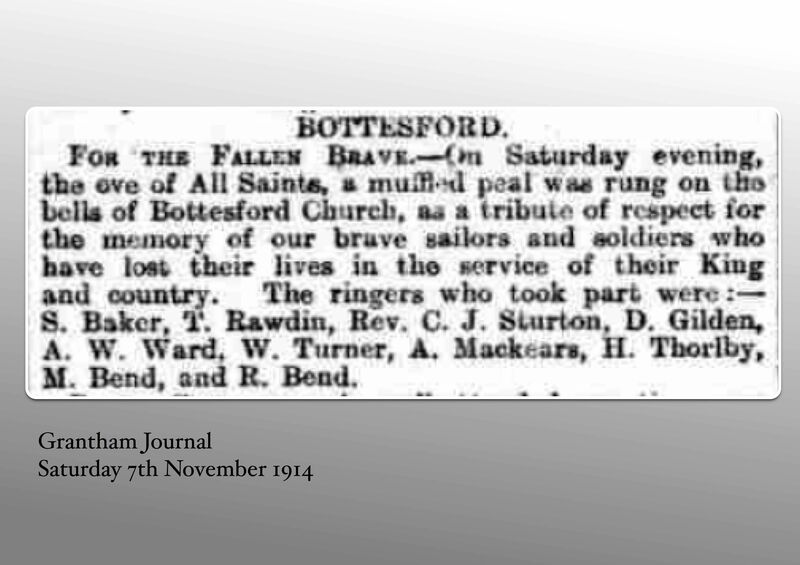 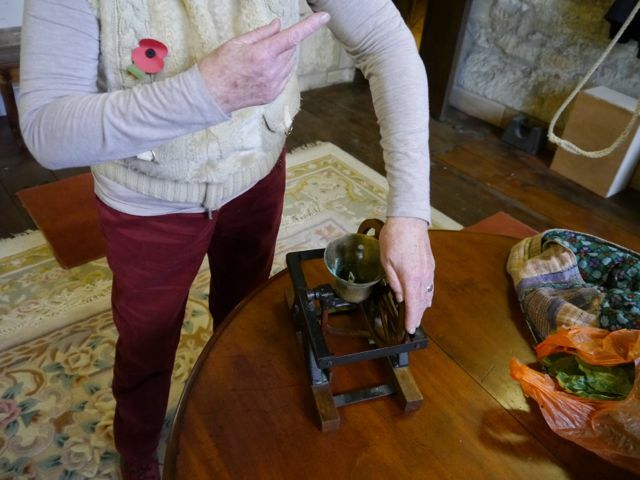 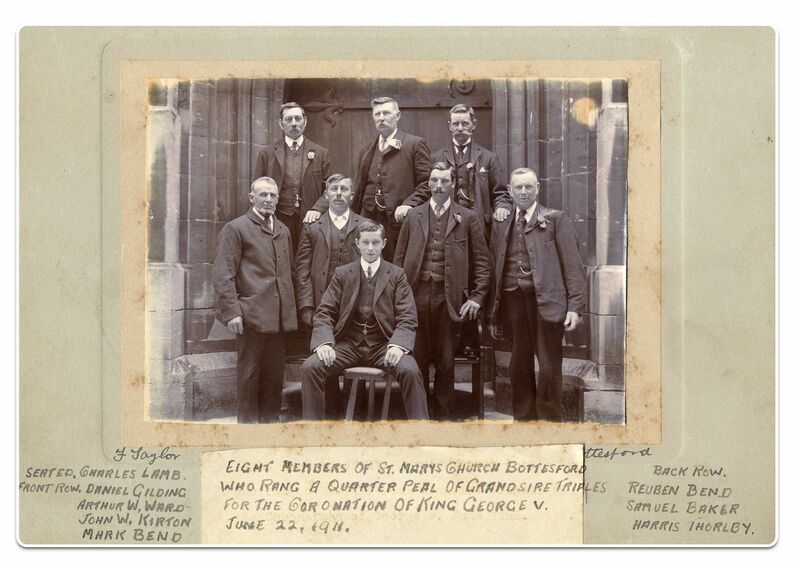 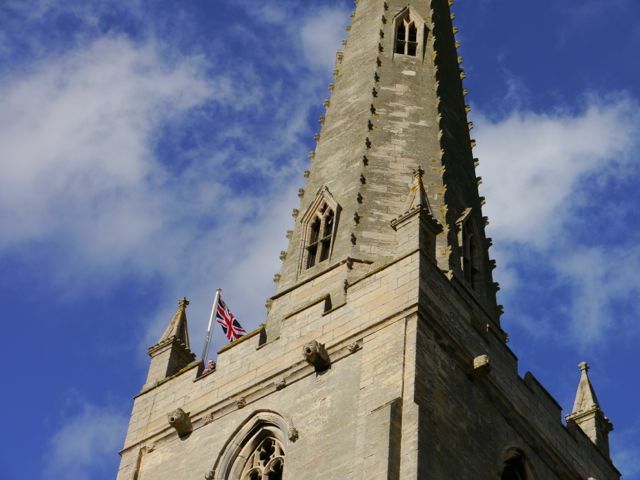 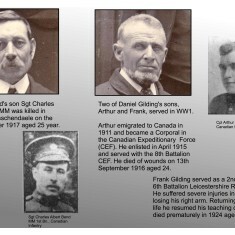 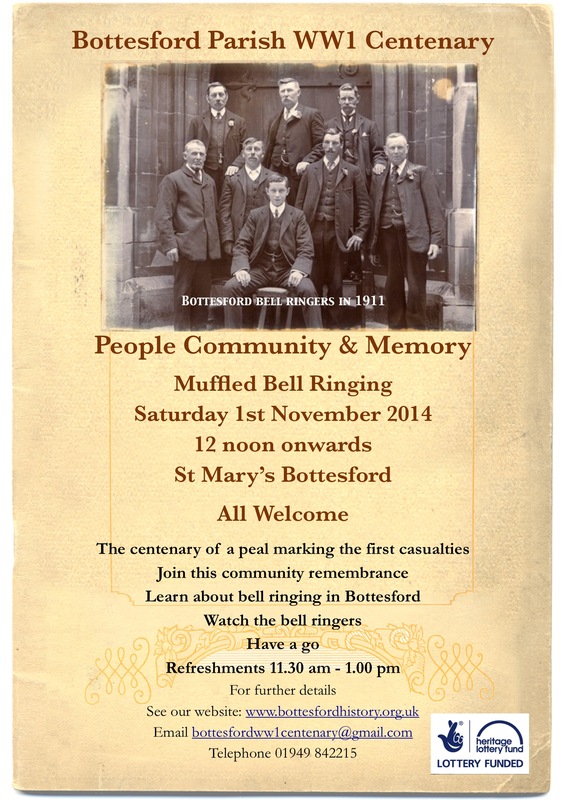 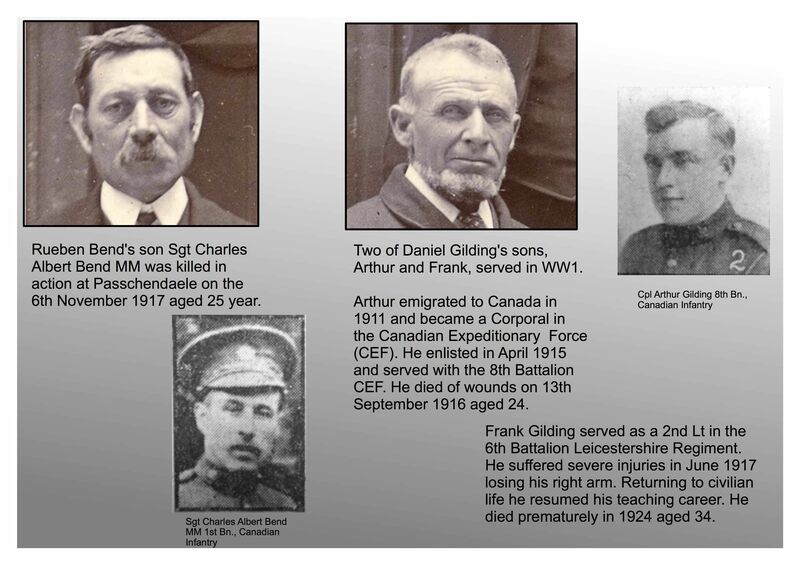 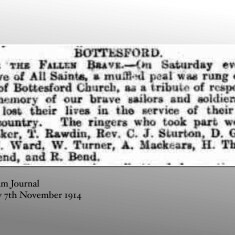 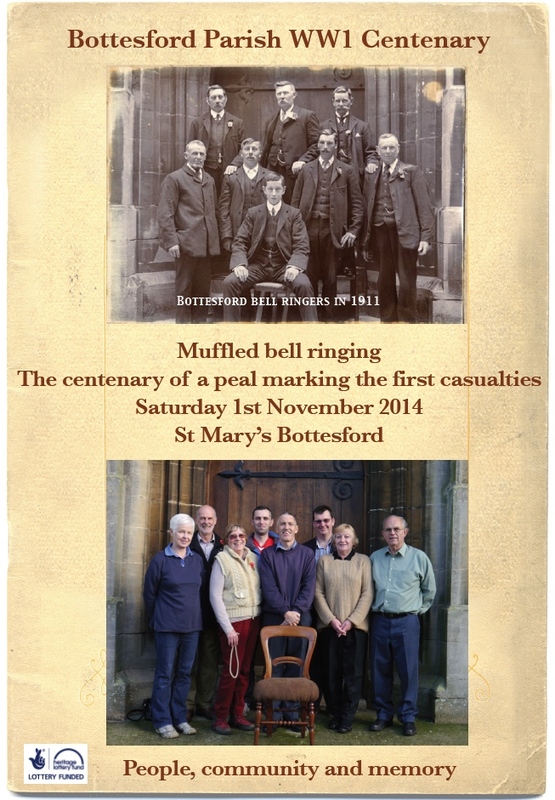 100 years to the day on Saturday 1st November at 12 noon, bell ringing at St Mary’s Church Bottesford, marked the centenary of a muffled peal rung to commemorate the first local and national casualties of the 1st World War. 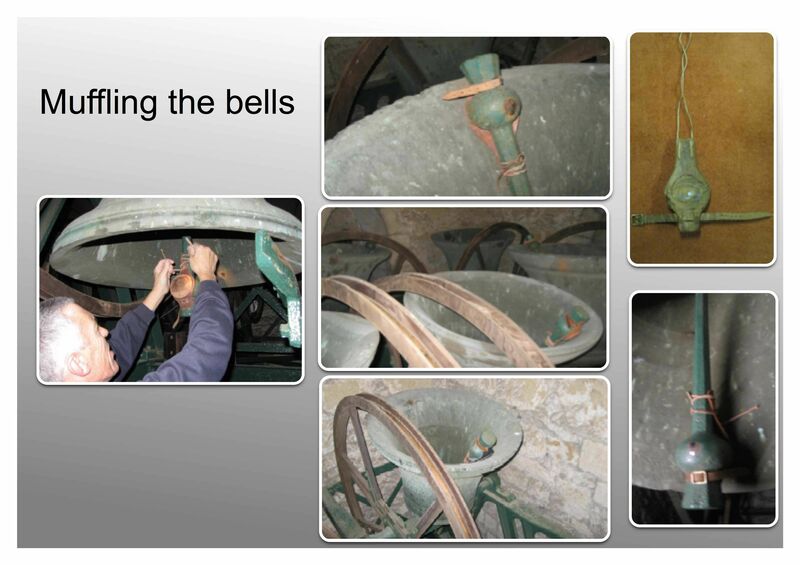 Muffling involves strapping a leather cap to one side of the bell clapper to produce a distinctive contrast in the loudness and softness of sound. 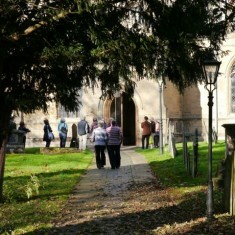 The winter sunshine encouraged a good turn out. 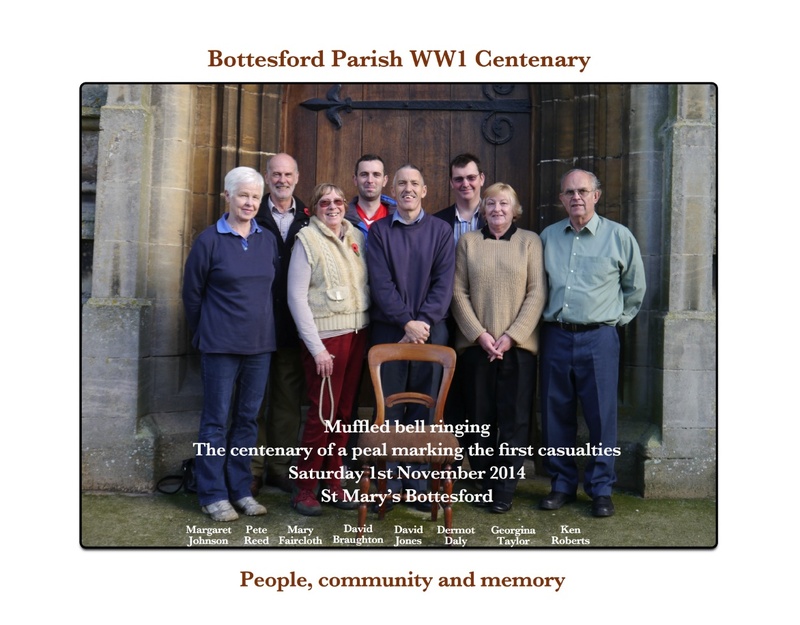 Nearly one hundred people attended this commemorative event organised as part of the Bottesford Parish WW1 Centenary Project. 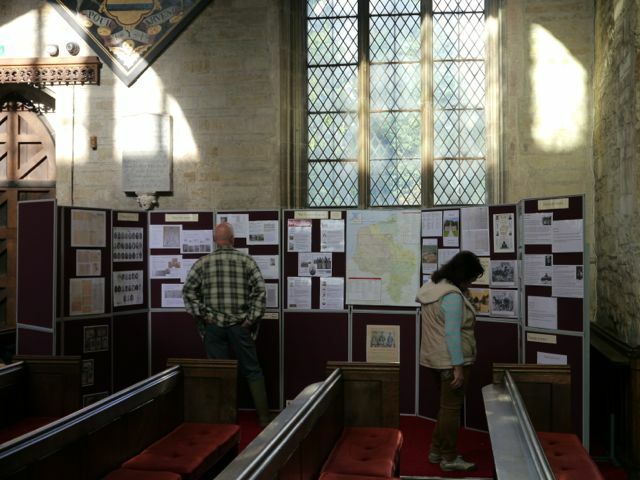 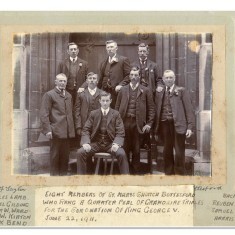 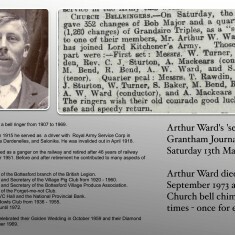 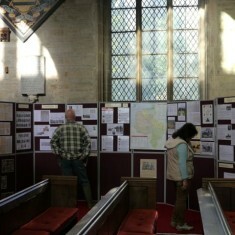 A display in the Church recorded the details of: the 1914 muffled peal; those bell ringers who served from the Tower; and the history of bell ringing at St Mary’s, Bottesford. 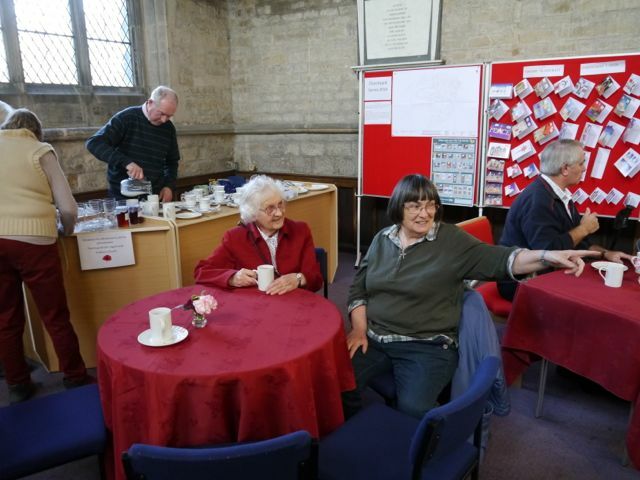 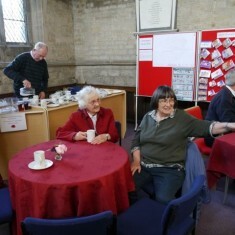 There was a brisk demand for coffee, tea and cakes on offer within the Church. 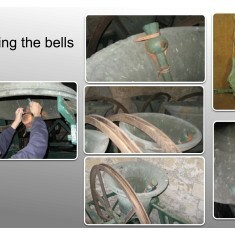 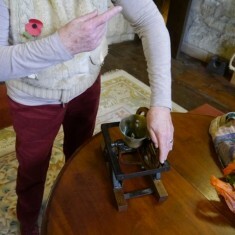 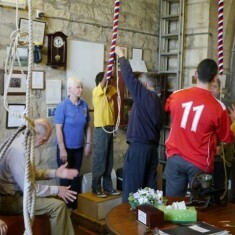 Belfry tours also provided the opportunity to have a go at ringing. 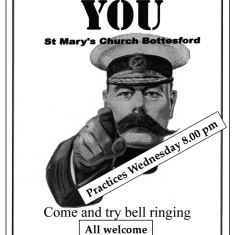 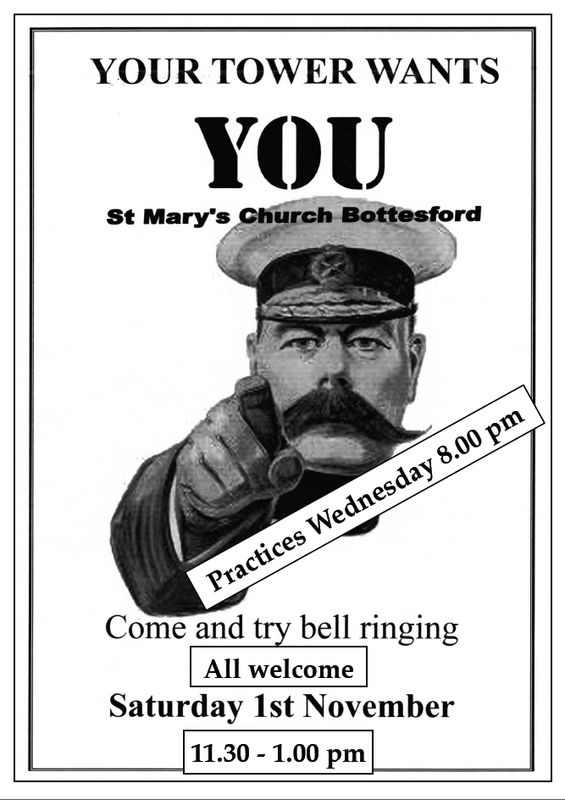 Over 20 tried their hand and all were invited to attend the regular Wednesday evening practices to learn how to ring. 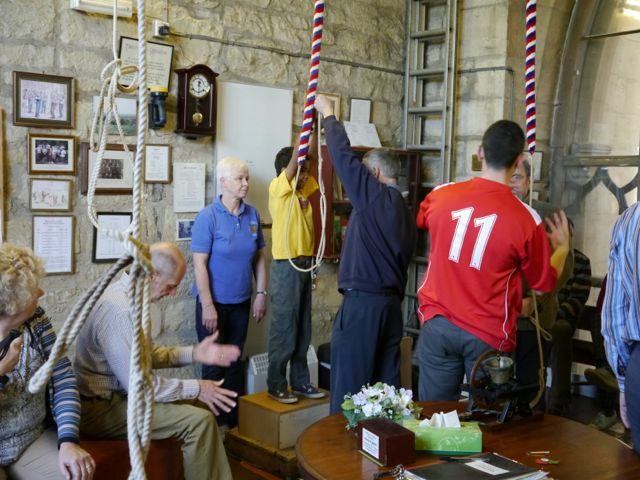 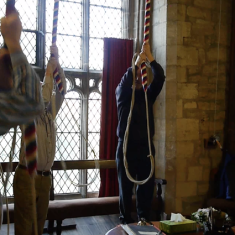 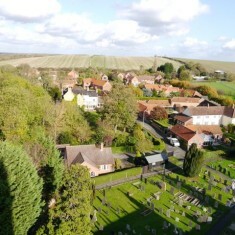 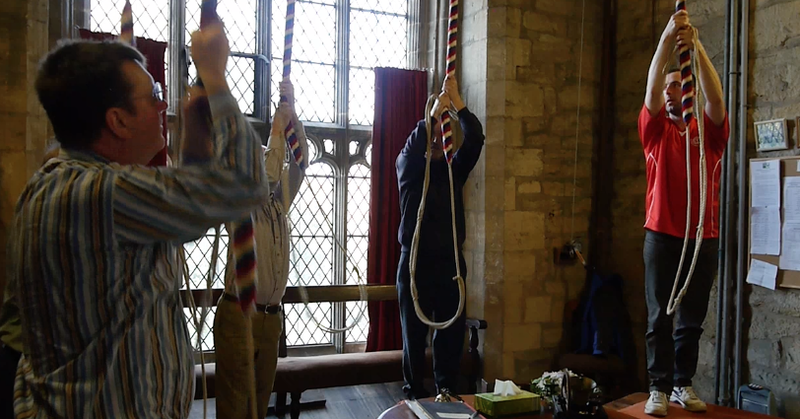 Six people took up that offer, the hope being that this will help to sustain the long tradition of ringing in the Bottesford Tower. 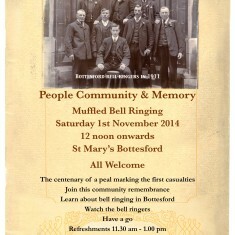 This event was supported by an award from the Heritage Lottery Fund. 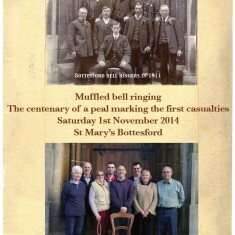 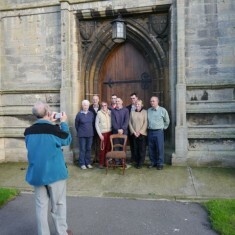 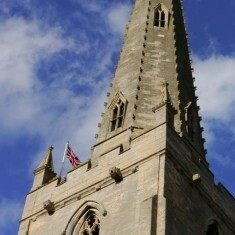 The final 4 minutes of the muffled ringing recorded outside St Mary’s Church, Bottesford. 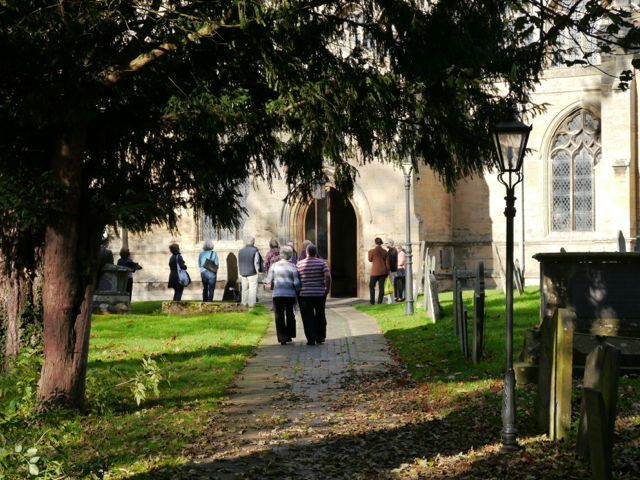 This page was added on 18/01/2015. 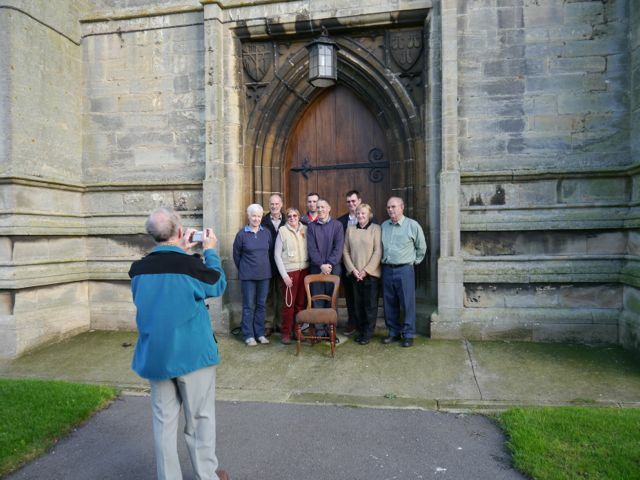 Gordon Banks opens the Davis estate, early 1970s I think. 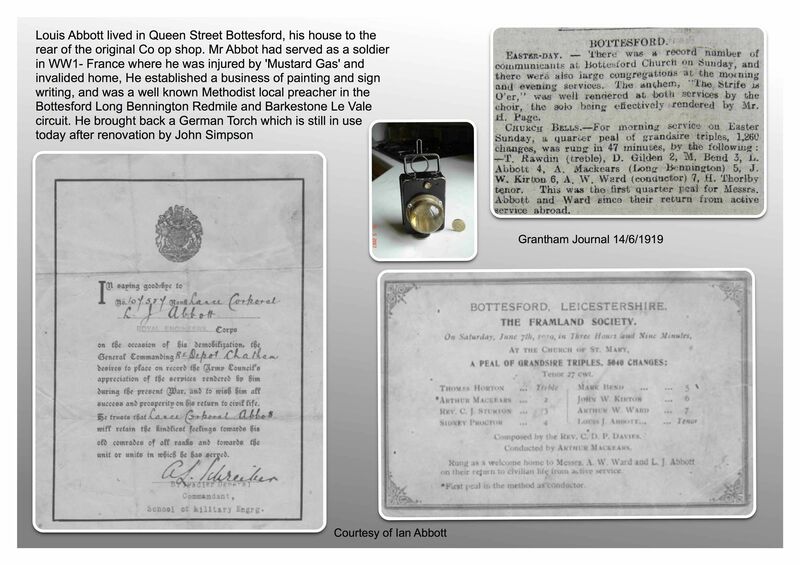 Farewell to the Red Lion? 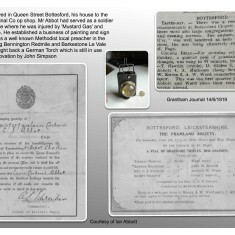 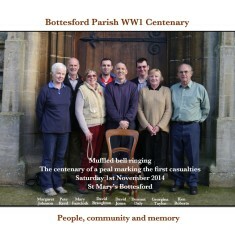 'Bottesford and the Great War' - out now!